The almost impossible feat of a “Golden Grand Slam” has been achieved whilst fishing St François atoll. Fourth–season Alphonse fishing guide, Andrew Mayo guided Matvey Ivanov (Mat) to obtaining this coveted achievement! To qualify for a “Golden Grand Slam” title five species of fish: Permit, Milkfish, GT, Bonefish and a Triggerfish need to be caught on the same day. With the Alphonse fishing season just two weeks in, this is a remarkable achievement! The guide teams from both Desroches Island and Alphonse Island strive each day to make each and every guests fly fishing experience the best during their time on the islands and do so by improving their guiding skills on a daily basis during the fishing season. 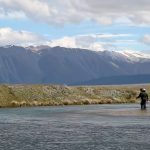 Guide Andrew Mayo has reached his pinnacle by guiding Mat to this remarkable feat, one that has never been achieved in the history of fly fishing due to the species caught. 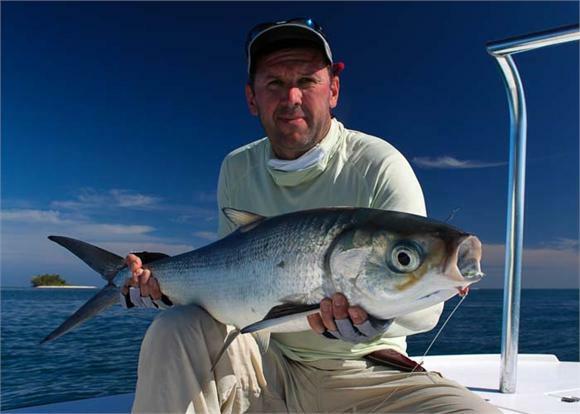 ¨Bonefish are easy but Triggerfish Permit, Milkfish and GT’s can be notoriously difficult to catch. We began the morning by landing a Milkfish and quickly decided our next catch was to be a GT. We caught a beauty! 20lbs plus! This inspired both Mat and I to try and achieve the Alphonse Grand Slam. Shortly after catching a GT, we targeted a Bonefish, which was easily done, as St Francois is one of the most prolific areas in the world for this species. Permit are the most problematic to hook and land; yet we did shortly after lunch. ” Exclaimed Andrew Mayo. 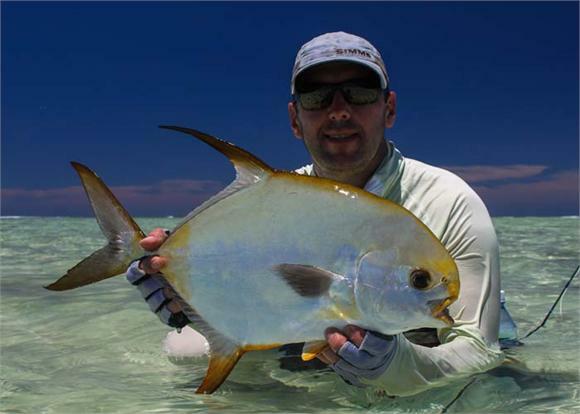 “ I have hooked nine Permit in various locations around the world but never actually landed one, so this was a great personal achievement by itself. We just had the Triggerfish to catch, then the achievement was ours.” Enthused Matvey Ivanov. “Andrew Mayo expertly guided me to an area he knew would have some Triggerfish and with luck on our side we landed the final species, not to mention, the coveted “Alphonse Golden Grand Slam” title.” Continued Matvey Ivanov. That is awesome. Andrew is an great guide and nice chap. I had the good fortune to fish with him upon my first visit to St Joseph’s in 2008. Very accomplished fly tier too.